You don't want to miss your opportunity here. 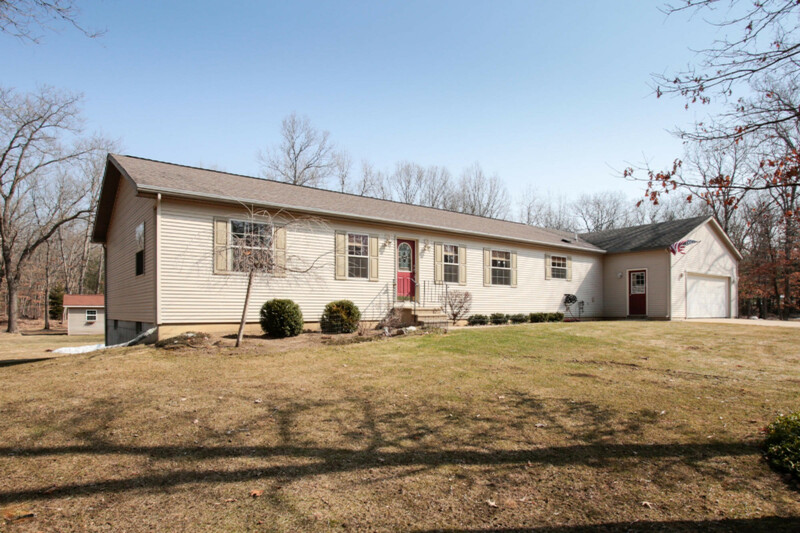 This well maintained, open concept ranch with 3 bedrooms, 3 baths (4th bedroom framed in basement with egress) with over 1, 900 square feet on the main floor, newer Stainless Steel appliances on 10 acres. Large master with huge walk-in closet, gorgeous master bath with tiled glass shower, finished daylight basement with 9 foot ceiling with snack bar, 40 X 46 pole barn with 16 foot sidewalls and running water. Perfect for storing the largest 5th wheel trailer and all the toys. There is underground sprinkling to complete this picture perfect setting. It's a must see to appreciate all it has to offer.